It was just 12 months ago that I, along with a committed group of motorcyclists rode some 5,574 Kms to circumnavigate South Africa. Why? We were focused on raising funds to help support the Kruger National Park’s daily struggle to combat the poaching that is happening inside the Park on a daily basis. At that time we were losing on average 3 Rhinos a day along with other wildlife for the bushmeat trade. As a result of “Ride for Rhinos” not only did we become the first ever commercial motorcycle tour group to be allowed inside the park on bikes but we were also able to donate a staggering ZAR 262,411.00 to the Honorary Rangers. Without a doubt I would love to be able to do this every year and just keep those funds coming in but for me that is unrealistic as I also need to make a living. So, I have put together a Client Tour that is based on the original trip. 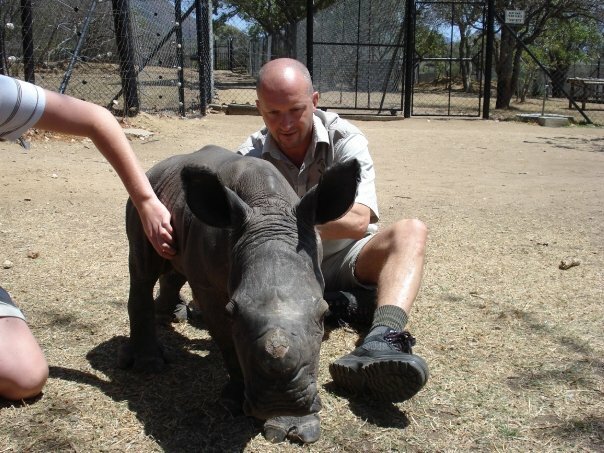 Its 20 days long and pretty much covers the same amount of kms as the “Ride for Rhinos” I am not raising money on this trip by asking for donations, as I am pretty sure we all get a bit tired of being asked to put our hands in our pockets for different causes. Of course if you want to do it then you know where to find me…… I am however committed to continuing to support both the HR and smaller APU’s by doing whatever I can to raise funds. 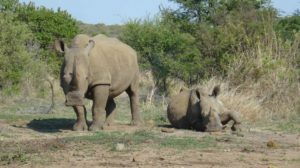 The new tour apply named the “Rhino Tour” is on our website and for everyone that participates in the Tour (pillions included) I will donate a minimum of £250.00 to a APU Project. I wish I could do more however if I only focus on fundraising I won’t be in business long enough to be able to help. 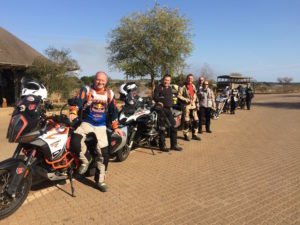 If you like motorcycles, love the idea of travelling around South Africa and want to help fight this disgusting crime then please take a look at The Rhino Tour and get in touch via the website contact page. If you would like to discuss this trip in person then feel free to call the number at the top of this page and I will be happy to discuss and queries you may have.